The proverb “it takes a village to raise a child” arose from the idea that children are more likely to become healthy, well-adjusted adults when they have the support of their whole community. We thrive with connections to society. Recovering addicts are more successful when they have support from a therapeutic community. The community can be comprised of treatment providers or other recovering addicts. This is one reason that 12-step fellowships are highly recommended, and why they continue to grow worldwide. Therapeutic Communities used to refer to long-term residential treatment centers, in which clients lived together along with therapists and supportive staff. Today the term is used more loosely and can refer to rehabs, intensive outpatient programs, day programs, recovery houses and 12-step fellowships. 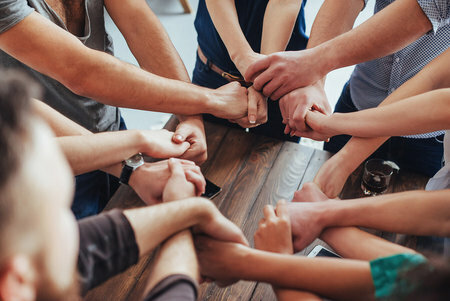 By definition, a therapeutic community should take a group-based approach; recovery is more successful when people work together to support one another. In a residential setting, resources and assistance are available around the clock. Staff is present at all times to facilitate groups, engage with clients in the moment, and make sure that the atmosphere is conducive to recovery. Inpatient settings also allow people to separate from the triggers found in their natural environments. Outpatient settings also provide support from trained staff, but this is limited to certain times of the day. Group and individual therapy sessions allow people in early recovery to learn coping skills and develop methods to stay clean in their environment. 12-step programs are comprised solely of recovering addicts, who share their experience and strength to help fellow addicts. The programs follow a structure and have a specific series of steps that empower addicts to help themselves. When you are new to recovery, it’s a good idea to observe what is going on around you. Look for people who are committed to their recovery. Find supportive people in the beginning and continue to develop those relationships as time goes on. Talking to others honestly about how you feel and asking for help when you need it are key parts of maintaining long-term recovery. In treatment programs, utilize the staff’s knowledge and identify resources in your community. If you participate in a 12-step program, go to meetings regularly, find a sponsor and start working steps. Whatever the setting, a therapeutic community offers a recovering addict a natural support network. No one has to deal with the life in isolation.